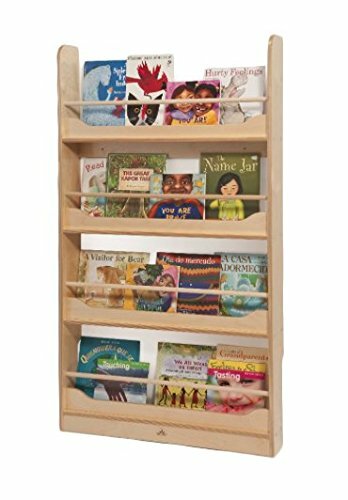 Display a load of books in this slim wall mounted shelf that's perfectly sized for children. Constructed in beautiful, durable birch laminate in safe, non-toxic natural UV finish that won't yellow with age and withstands years of rigorous use. Ships UPS/FedEx ground ready to assemble. Wall mounting hardware not included. Green Guard Gold certified. Made in USA. Lifetime Warranty.